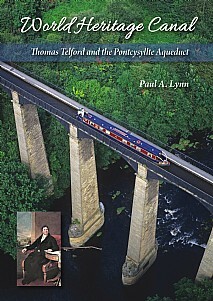 Thomas Telford was arguably the greatest civil engineer Britain has ever produced. This book reveals his humble beginnings and then describes his self-propelled rise from journeyman stonemason to famous canal engineer. In 1793 Telford was appointed principal engineer on the Ellesmere Canal (now the Llangollen Canal) in North Wales. An 11-mile section of the canal, including his magnificent Pontcysyllte Aqueduct, has recently been granted UNESCO World Heritage status, putting it in the company of such international icons as the Taj Mahal, the Statue of Liberty, and the Tower of London. Completed in 1805, the aqueduct represented a stupendous advance in civil engineering; but it was designed for canal boats and tucked away in a relatively unfrequented valley. Following a rapturous opening ceremony and initial commercial success, a decline of the canal system from about 1840 onwards made it look increasingly redundant. The richly-deserved UNESCO award has put the aqueduct and its canal back in the limelight. This is a personal and professional story, putting Telford’s work into its historical and social context, showing him as a remarkable mix of good-natured ambition, talent and resilience. Today there is great interest in Britain’s transport infrastructure. The 19th-century engineers who did so much to pioneer and improve it are rightly seen as heroes. It will be appreciated how much is owed to Telford and others for creations that have stood the test of time, built with courage and daring, in an age when major construction projects relied heavily on pickaxes, wheelbarrows, and an extraordinary amount of hard physical labour. Richly illustrated in full colour, with many up-to date photographs of the places where Telford lived and worked, it will appeal to civil engineers, canal lovers, boaters, walkers, tourists, and all those interested in the history of Britain’s industrial heritage.